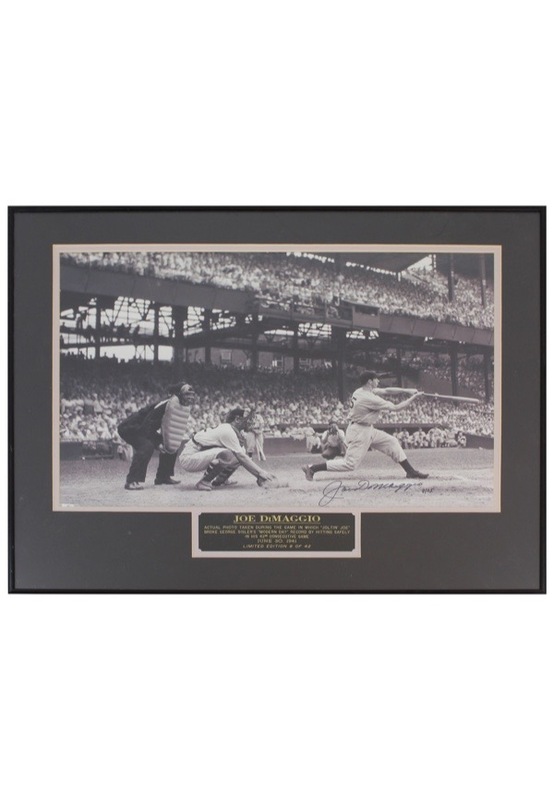 A 24x20” framed photo of Joe DiMaggio swinging the bat. 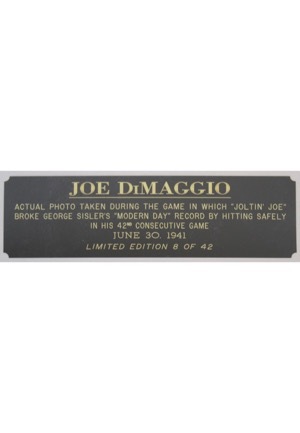 On a plate beneath the photo reads “JOE DiMAGGIO ACTUAL PHOTO TAKEN DURING THE GAME IN WHICH “JOLTIN JOE” BROKE GEORGE SISLER’S “MODERN DAY” RECORD BY HITTING SAFELY IN HIS 42ND CONSECUTIVE GAME JUNE 30, 1941 LIMITED EDITION 8 OF 42”. 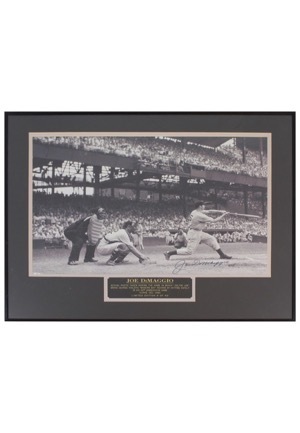 DiMaggio signed on the picture in black marker and in our opinion the signature rates a 9. Next to his signature is a limited edition number “8/42”. Accompanied by a LOA from JSA.